It’s tough running a solo practice! If you are a small or solo law firm, as I am, you probably already know the struggle that comes with not having a large foundation to help support it. Add all the legal technology choices to the mix, and you might feel as though you have no choice but to stay old school in your practice, at least in certain areas. Not that there’s anything wrong with old school. It certainly has its share of charm. But, if you want to stay above water in a sea of thriving lawyers and law firms, grabbing hold of the lifeline of legal technology might be in your best interest. How do you stack up against your neighbors? The American Bar Association recently released the 2018 Legal Technology Survey Report. Nearly half of survey respondents were either solo practitioners or small firms (2-9 attorneys). So we’re talking about our peers, here, and the obvious need for technology in a modern law firm comes through in the survey. I offer you, friends and colleagues, my summary from the report, in hopes of opening up a dialogue on how we can keep up with modern practice and best help our clients. 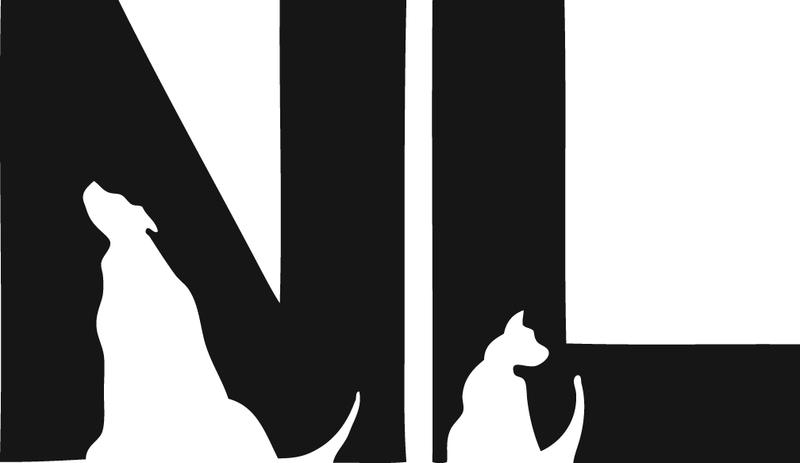 I know that at my firm, Nicol Law Offices, LLC, legal technology makes a big difference in serving my clients. It also makes a difference when it comes to balancing my practice with my personal life. We all have a personal life, or can now, with the help of technology. There are basic, basic things that we should already be doing in our practices, like using some sort of technology in our day-to-day practice. Survey results are interesting, here. Windows 10 beat out Mac OS as the most utilized by the majority of small and solo firms. In fact, the use of Windows 10 has grown by 13% in just the past year. In particular, Office 365 is finding its way into more and more law offices. 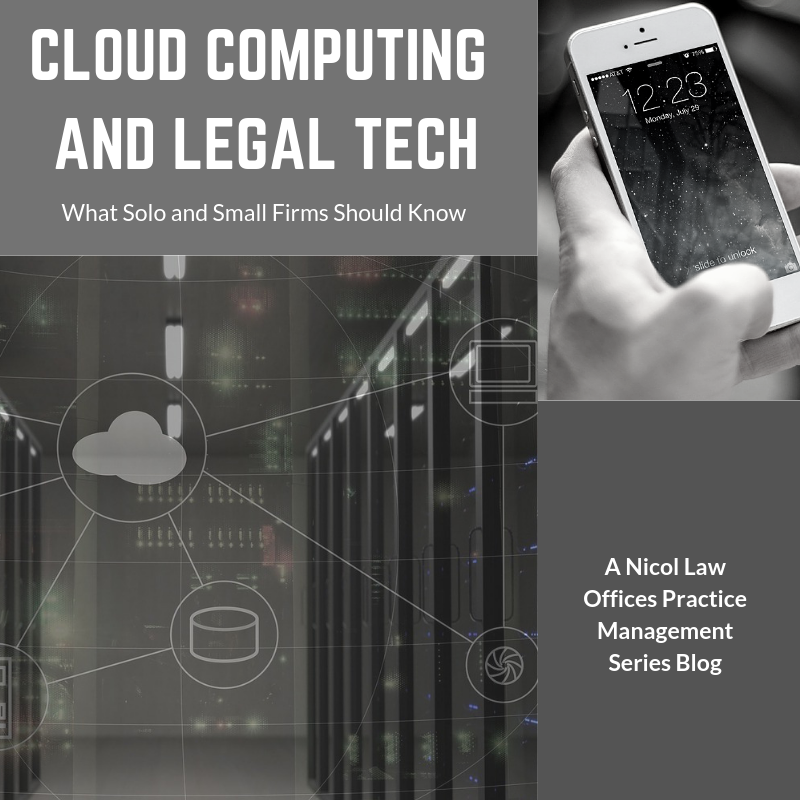 Apple’s Mac OS is not obsolete, but certainly not as widely used, with only 14% of solo practices reporting that they use it as their primary operating system, and even less for firms small firms (with two to nine lawyers). Watch out Apple. What are they using it on? As to devices, it’s no surprise that laptops continue to be the main choice for most firms. This is particularly true for solo (82%) and small firms (73%). The portability of a laptop is an important trait that you can’t get with a desktop. And being able to pack and go quickly is important when trying to balance your firm, your clients, and your life in general, right? So, it’s no surprise that they are popular. Small firm and solo practitioners are also utilizing tablets, with iPads being the top choice among the majority of those surveyed, at 77%, while Microsoft Surface comes in 2nd at 22%. I guess Apple will live to ride again. However, the use of the Surface has increased by 4% over the past year, and the increase is most likely due to wanting to work with the Windows 10 operating system. Me, myself, and I, I prefer the rose gold HP Spectre–it has a James Bond ring to it and works better than my older iPad with the complete workhorse capabilities of Windows built in. What’s Next? Cloud and Web-Based Computing. Cloud computing is a lifeline tossed to each computer, at least those utilizing it. It won’t do any good if you aren’t “in” the cloud. But, if you are, it’s nothing short of a miracle compared to saving data pre-cloud computing. When working in a cloud or web-based program, the fear of your computer crashing and losing all data is pretty much shut down. If you have not grabbed unto this safety net, you need to and soon. Although it can still be a pain to get a new computer and set it up, at least all your hard work is intact elsewhere and easily accessible. I use Dropbox, Typeform, Acuity, Google Suite, Docusign, and other cloud-based soft platforms. As necessary as this is for most of us practitioners, oddly, only 55% to 59% of the respondents to the ABA Tech Survey are using this modern technology miracle. While the numbers have gone up, 45% are respondents to the survey are still not taking advantage of it. The services they are using include file sharing, online document storage, collaboration, and even some practice management solutions. I love the cloud. At this point, my practice is rooted in cloud-based software. The number one benefit listed in the survey of working with a cloud-based program was the ability of having near-instant access to your work at any time, and in any location (including on my smartphone!). Up to 68% of those who took the survey listed that as the most attractive perk. I would agree! Coming in second was the low cost (48%), then followed by a healthy data backup and recovery system (46%), quick and easy set up (40%), eliminating or reducing the need for IT management (34%), and better security (31%). Finally, and I’m surprised by this, but 8% implied they saw no benefit from using a cloud computing system. The benefit of not losing all my hard work alone is well worth using one, from my standpoint. This might not surprise anyone: more than half of those not using a cloud-computing program implied that security concerns were the reason for not implementing a program. 63% of ABA Tech Report survey respondents indicated a fear of security and confidentiality. (Even so, 10% showed that they will most likely start using a cloud system within the next year.) But there are things you can do to mitigate the security risks, more on that later. Suffice it to say, I take client security even in the legal technology age very seriously. There is more from this survey regarding data protection and security, which I will discuss in Part II, next week. But for now, feel free to contact me if you’re a solo practitioner or small firm lawyer. I’d be happy to share the technology tools that make my practice run more efficiently.